This gift set gives you everything you need to get started in making matcha green tea the traditional way. Kineta Finest Organic Matcha Green Tea Powder is ranked amongst the highest quality matcha teas available, Kineta Finest is a ceremonial-grade green tea powder and the only type that is permitted for use during the Japanese tea ceremony. 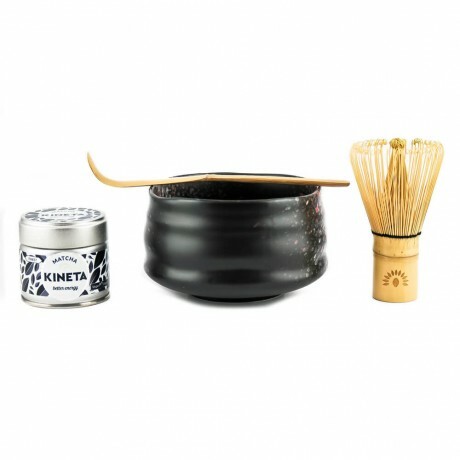 Kineta Finest Matcha Tea is made stone-grounding the whole tea leaf. This method effectively preserves the nutritional integrity of each leaf. 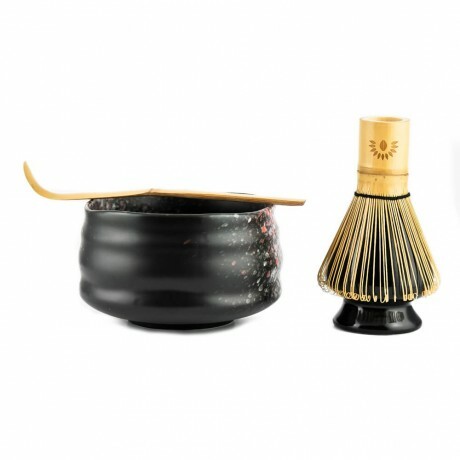 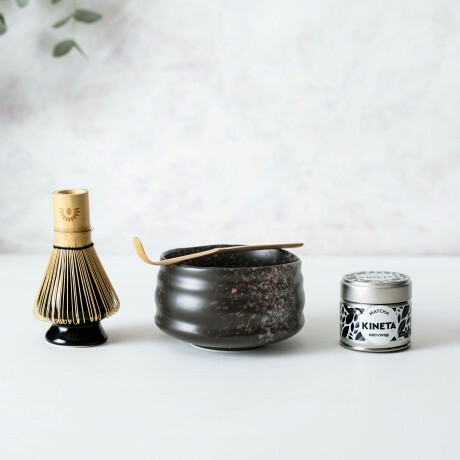 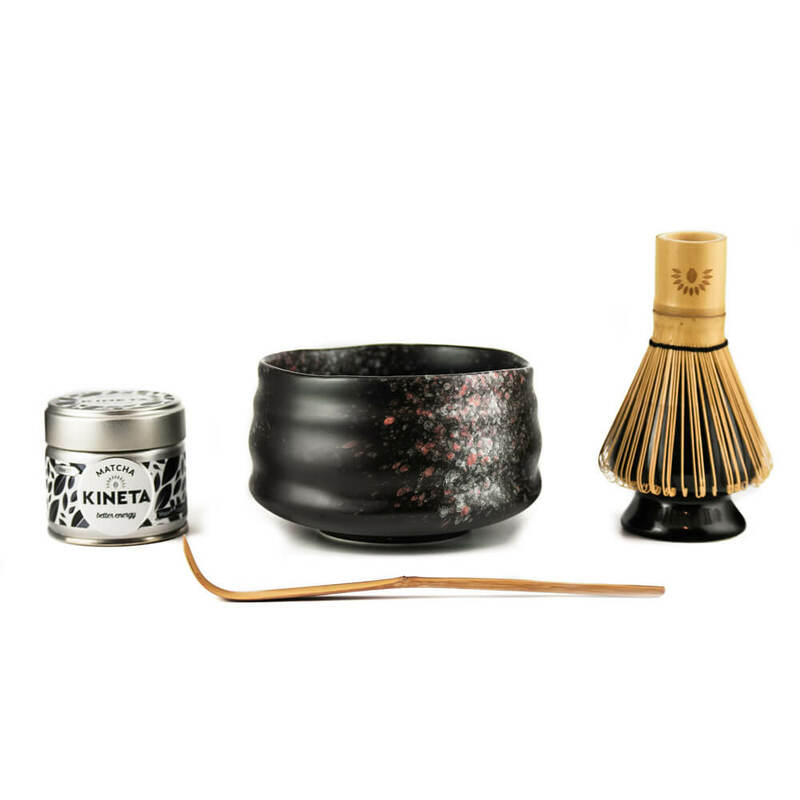 This set comes in a stunning black gift box containing a hand crafted bowl (chawan), whisk (Chasen), whisk holder, Bamboo Scoop (Chashuku) for the perfect amount for your matcha green tea.